Season 8 originally aired between October 27, 1996 and May 18, 1997. The Simpsons' eighth season originally aired between October 27, 1996 and May 18, 1997, beginning with "Treehouse of Horror VII". The show runners for the eighth production season were Bill Oakley and Josh Weinstein. The aired season contained two episodes which were hold-over episodes from season seven, which Oakley and Weinstein also ran. It also contained two episodes for which Al Jean and Mike Reiss were the show runners. 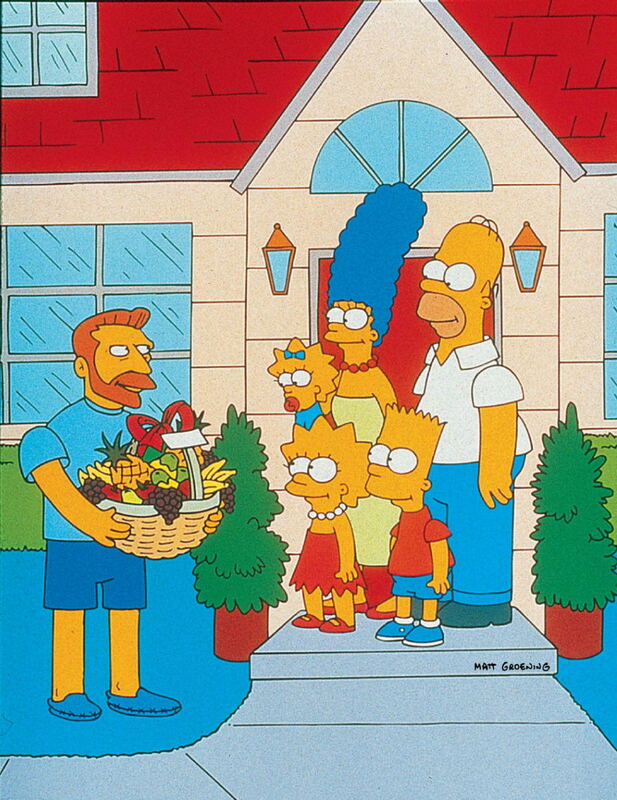 Season eight won multiple awards, including two Emmy Awards: "Homer's Phobia" won for Outstanding Animated Program (for Programming One Hour or Less) in 1997, and Alf Clausen and Ken Keeler won for "Outstanding Individual Achievement in Music and Lyrics" with the song "We Put The Spring In Springfield" from the episode "Bart After Dark". Clausen also received an Emmy nomination for "Outstanding Music Direction" for "Simpsoncalifragilisticexpiala(Annoyed Grunt)cious". "Brother from Another Series" was nominated for the Emmy for "Sound Mixing For a Comedy Series or a Special". 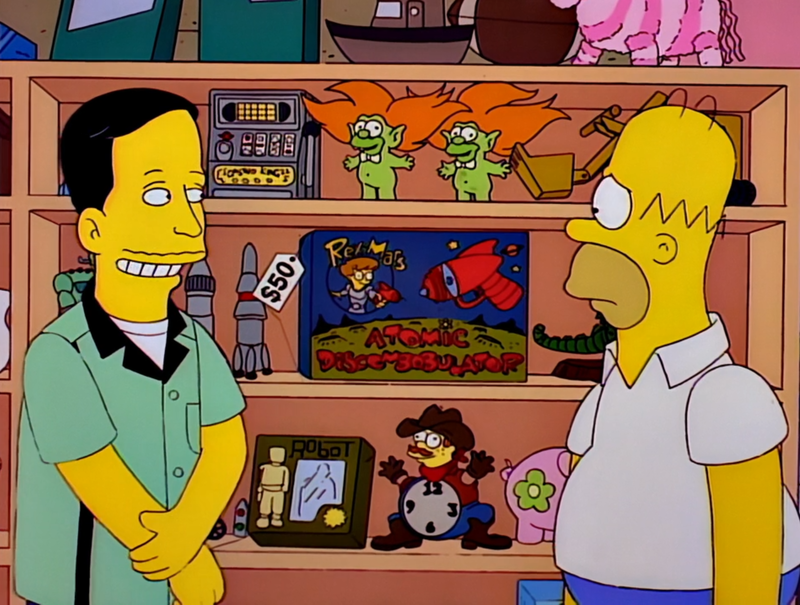 For "Homer's Phobia", Mike Anderson won the Annie Award for Best Individual Achievement: Directing in a TV Production, and the WAC Winner Best Director for Primetime Series at the 1998 World Animation Celebration. Gay & Lesbian Alliance Against Defamation awarded the episode the GLAAD Media Award for "Outstanding TV – Individual Episode". The DVD box set was released in Region 1 on August 15, 2006, Region 2 on September 2, 2006, and Region 4 on October 2, 2006. 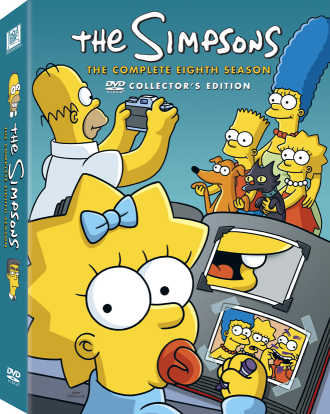 The set was released in two different forms: a Maggie-shaped head to match the Homer and Marge shaped heads of the previous two sets and also a standard rectangular shaped box. Like the seventh season box set, both versions are available for sale separately. Opening Sequence: Homer tries to light a jack-o'-lantern, but catches his hand on fire, then his whole body, so he starts running around screaming. 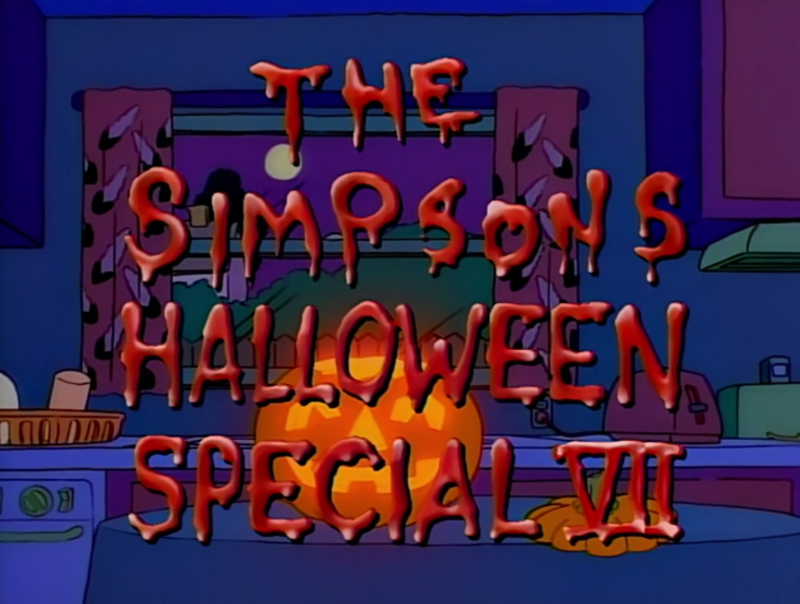 Then, the title "The Simpsons Halloween Special VII" comes up in blood. In the couch gag, the family runs to the couch, but they keel over and die in front of the Grim Reaper, their corpses landing one on top of another. The Reaper decides to put his feet up and uses Homer's corpse as a footstool. 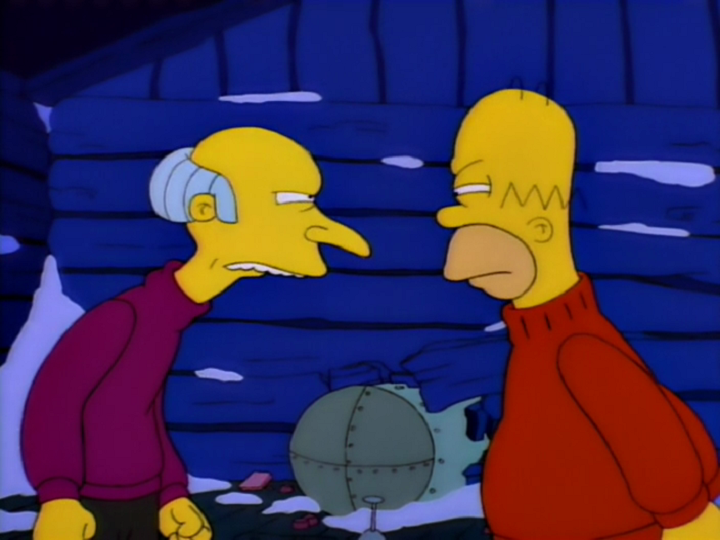 The Thing and I: Bart discovers he has an evil twin, who is living in the Simpsons' attic. The Genesis Tub: After intending to prove that sugary drinks will rot teeth, Lisa creates her own miniature universe. 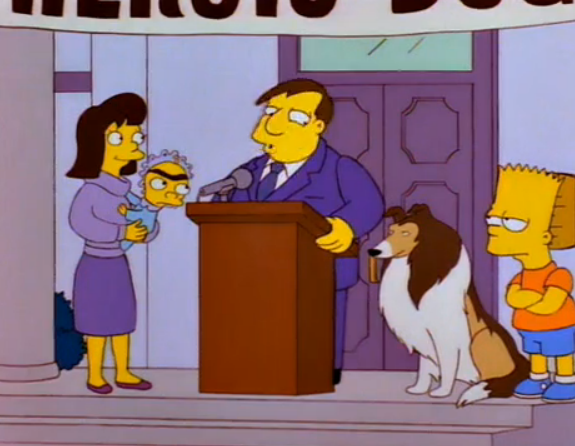 Citizen Kang: Kang and Kodos impersonate presidential candidates Bill Clinton and Bob Dole in order to invade Earth. Guest starring Phil Hartman as Bill Clinton. Guest starring Albert Brooks as Hank Scorpio. Guest starring Michael Buffer as himself and Paul Winfield as Lucius Sweet. Homer finds an autodialer and starts a telemarketing scam. Meanwhile, Nelson is punished for vandalizing Superintendent Chalmers' car and has to help Willie around the schoolyard. When Lisa watches Nelson torment Willie, she finds herself attracted to him and decides to try to change Nelson into a better person. 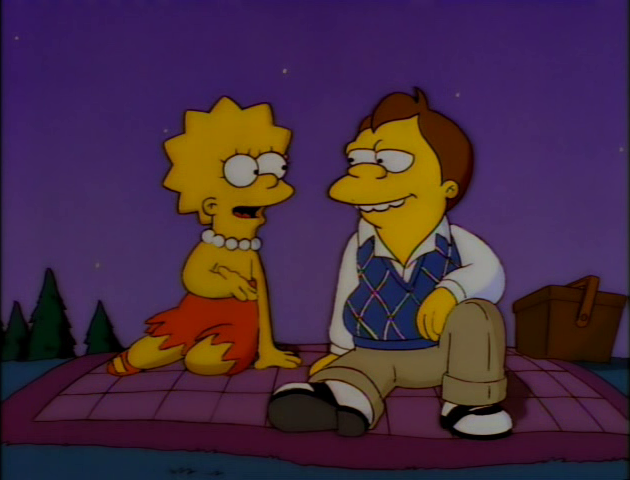 Lisa goes on a date with him and they kiss, but when he is later revealed to be lying about vandalizing Skinner's house, she loses the attraction. A hurricane destroys the Flanders' home and they have to move into the church basement. The people of Springfield gather to rebuild their house, but when Ned sees the poor workmanship, he has a complete breakdown. Ned commits himself to a mental institution and his psychiatrist discovers that Ned's past has taught him to suppress his anger. The psychiatrist then teaches Ned to express his anger with Homer as a role model and Ned gets cured. Homer begins to hallucinate after eating a dish laced with potent Guatemalan peppers at the chili cook-off. 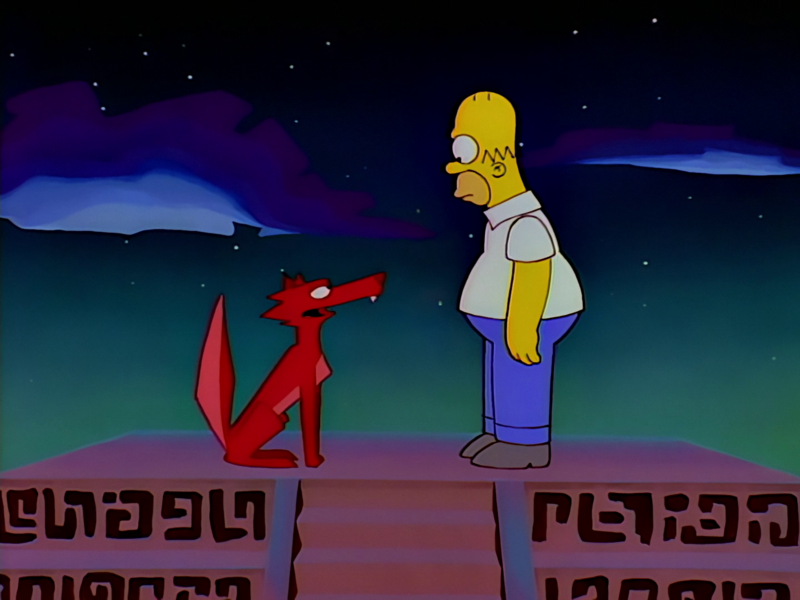 In this hallucination he meets a mystical coyote, which tells him to find his soul mate. After a fight with Marge, he is concerned that she is not really his soul mate. Homer leaves the house and seeks solitude in a lighthouse. Marge arrives at the lighthouse and apologizes and then Homer realizes that Marge is his soul mate after all. Homer walks home one night from Moe's Tavern. On his way he sees an eerie glowing creature. The next day Homer's story is printed in the local newspaper. 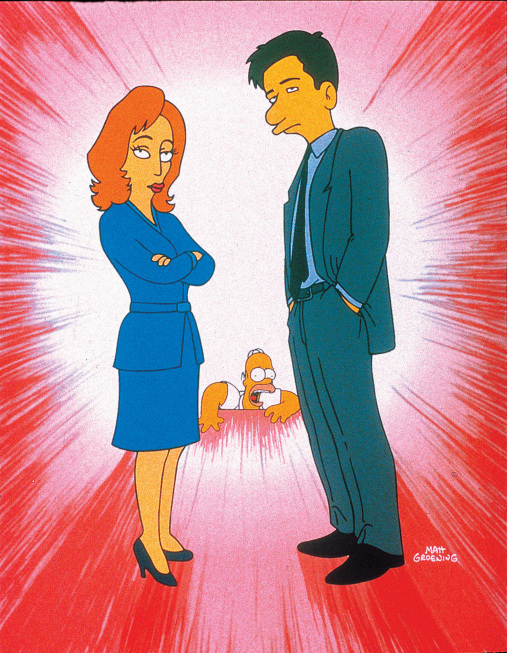 FBI agents Mulder and Scully read the story and go to Springfield to investigate this X-file. After talking with Homer they find his credibility shaky and quickly leave again. 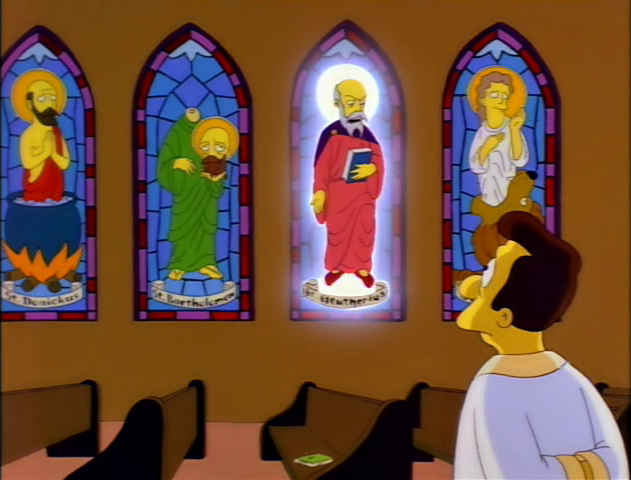 Bart and Homer then set up a camp to videotape the creature. When the creature appears, Lisa reveals that the creature is actually Mr. Burns after a medical treatment by Dr. Nick. 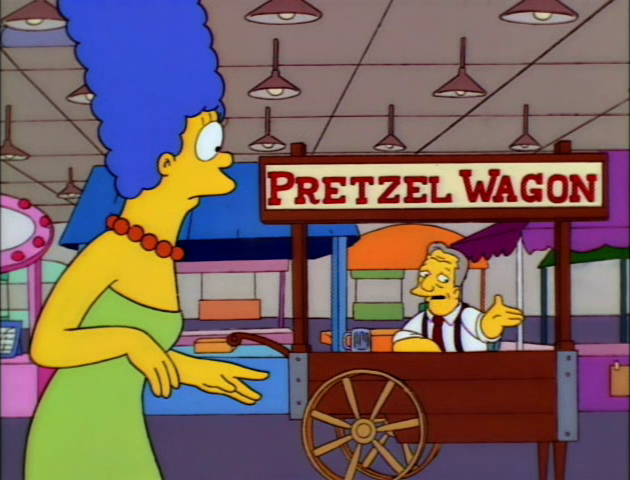 Marge starts a new pretzel franchise after being voted out of the Springfield Investorettes for being too conservative. The Investorettes see this and strike back by getting a falafel van. Homer helps Marge with her business by asking Fat Tony for assistance. Soon the orders pour while the falafel business mysteriously fails. Fat Tony attempts to collect all of Marge's profit, but she refuses. He then sends his goons to the Simpson house where he meets the Japanese mafia, who was sent by the Investorettes, and it ends in a showdown between the two mafias. To encourage teamwork, Mr. Burns takes all of his employees to a corporate retreat in the mountains. The employees pair up and Homer becomes Burns's partner. The challenge is to find a cabin on the snowy mountainside. The pair to finish last will be fired. Burns and Homer cheat by using a snowmobile and make it the cabin before everybody else, but an avalanche buries the cabin. Homer and Burns go insane in the cold and get into a fight. In the fight they ignite a propane tank, which rockets the cabin to safety. Marge is stressed by the demands of motherhood and the Simpsons get a magical British nanny, who floats down from the sky holding an umbrella. 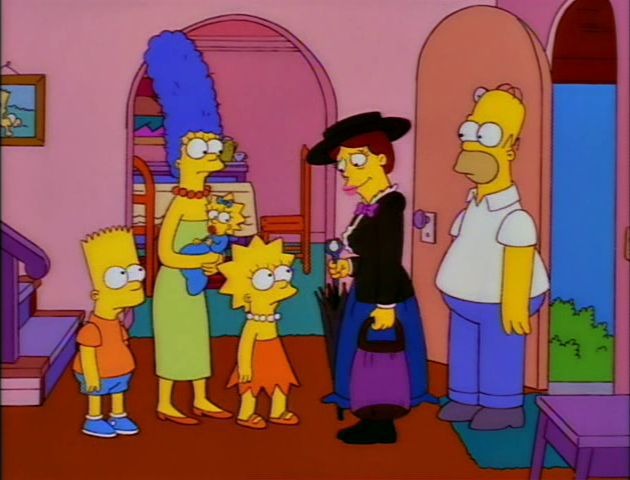 The nanny is a miracle worker, who teaches Bart and Lisa how to clean and charms everybody. However, the Simpsons cannot stop living their messy ways and the nanny's spirit gets crushed. She leaves the family realizing that she has taught them nothing. A new character, Poochie, is added to The Itchy & Scratchy Show as an attempt to boost failing ratings. Bart and Lisa convince Homer to audition for the voice of Poochie. He gets the part and makes public appearances with the voice actor behind Itchy and Scratchy. Poochie's debut is not well received and the producers decide to kill him off. Homer refuses to cooperate and records a different version of the death scene. 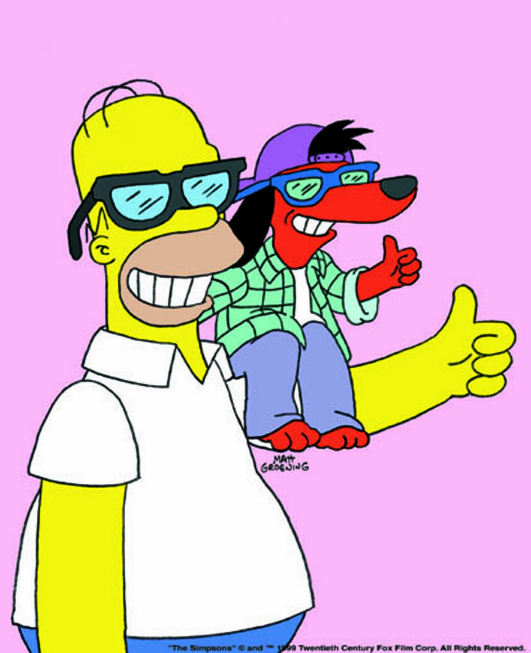 Homer is convinced that he managed to keep Poochie, but when the episode airs, the character is edited out. The family tries to sell an old heirloom at a collectibles store and strike up a relationship with John, the store owner. The Simpsons invite John over to their house to assess their other belongings and Homer takes a liking to him. Marge then informs Homer that John is gay and he refuses to see him again. Afterwards Homer notices changes in Bart's behavior and fears that John has turned him into a homosexual. Trying to make Bart manlier, they go on a hunting trip, but get attacked by a herd of aggressive reindeer. Suddenly, John arrives and saves the day. Homer then thanks John for saving his life and accepts him as a friend. Sideshow Bob is released from prison and his brother, Cecil, hires him to supervise the construction of a dam. Bart suspects that Bob is up to something and sneaks into his office along with Lisa. There he discovers a suitcase filled with money. Bob enters and explains his innocence, but Bart and Lisa do not believe him. Cecil now enters and holds them all at gunpoint. His plan is to blow up the dam and walk away with the $15 million he embezzled from the project. Bob would naturally be blamed allowing Cecil to get revenge for Bob stealing his part as Krusty's sidekick. Cecil now locks up Bob, Bart and Lisa, but they manage to escape and stop Cecil. Lisa wants to start babysitting, but Marge thinks she is too young. 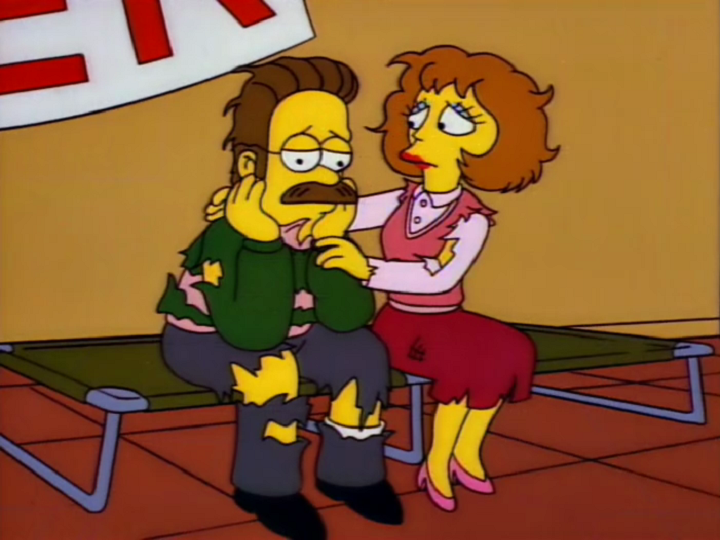 Flanders urgently needs a babysitter and Lisa gets her first job. When Flanders gives her a glowing review, she starts to get steady work. Then one evening, Lisa is put in charge of babysitting Bart and Maggie. Bart is outraged and embarks on a series of pranks. When Bart refuses to go to bed, Lisa accidentally knocks him down the stairs which dislocates his arm. 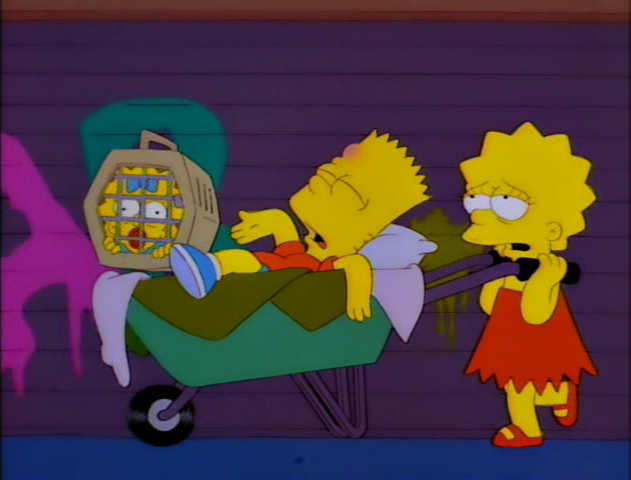 Lisa tries to help him by transporting him in a wheelbarrow to Dr. Nick. Bart falls out of the wheelbarrow and rolls down a hill. The townspeople are mortified, but Lisa continues to get jobs the following day. Alcohol is banned from Springfield after Bart accidentally gets drunk at a town parade. Rex Banner is appointed to replace Chief Wiggum as police chief to enforce the new laws and stop Fat Tony from smuggling. Rex is successful, but then Homer starts to smuggle alcohol. Eventually, Homer ends his bootlegging ends and approaches Wiggum with a plan to expose himself and restore Wiggum's good name. Homer is about to receive punishment by being catapulted, but he is saved by an impassioned speech by Marge. The liquor ban is then lifted and the town celebrates by getting drunk. Seymour Skinner and Edna Krabappel strike up a conversation at a party and take a romantic interest in each other. They try to keep their affair a secret, but Bart sees them kiss. The following day the couple hears Bart telling his classmates about it and silences him by deleting his permanent records. Bart becomes their go-between for exchanging love notes, but he gets tired of that and exposes Skinner and Krabappel in the janitor's closet locked in a passionate embrace. 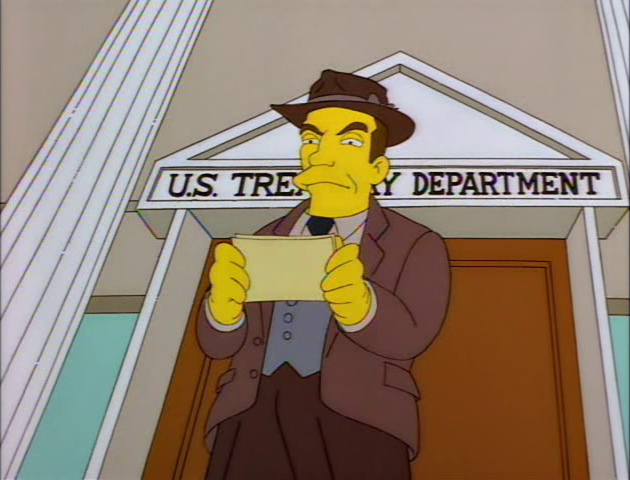 The word spreads all over town and Superintendent Chalmers gives Skinner an ultimatum – either end the relationship or face dismissal. 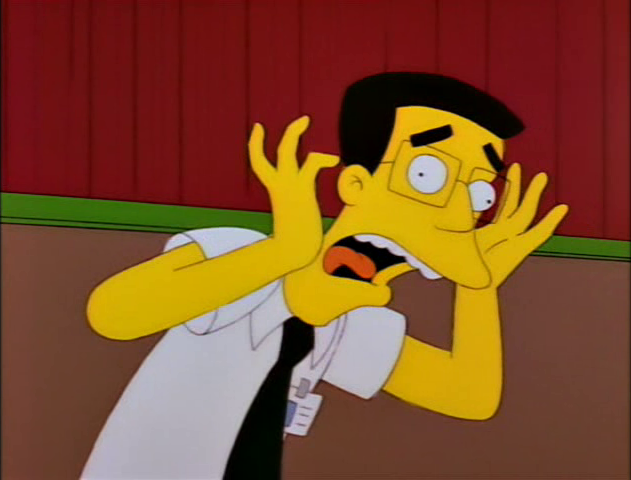 Skinner pretends that he is in fact a virgin and the matter is cleared up. Bart gets a credit card and buys a well trained new dog called Laddie. When Bart cannot pay the balance on the credit card the bank repossesses Laddie. 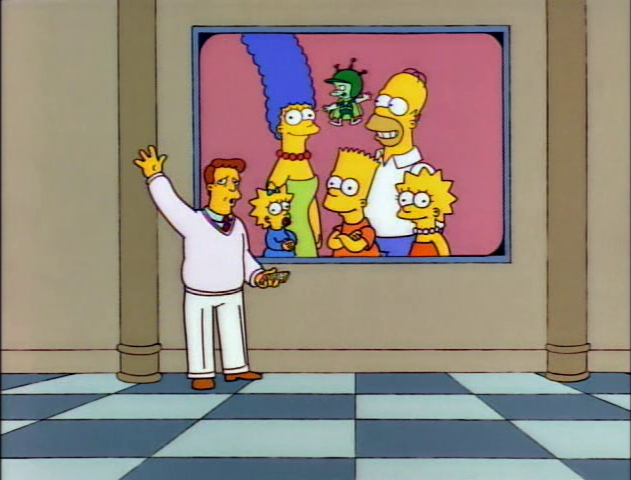 Instead of giving them Laddie, Bart gives the repo men Santa's Little Helper. Feeling guilty Bart gives Laddie to the police and sets out to find Santa's Little Helper and finds him at a blind man's house. Bart tries to kidnap his dog, but instead the blind man alerts the police. When they arrive, Laddie, who is now a police dog, sniffs out a bag of marijuana and the blind man gets arrested. Bart can then leave with Santa's Little Helper. Mr. Burns loses his fortune in a bad investment. He is not doing well alone and is committed to the Springfield Retirement Castle. Disgusted by his surroundings, he vows to get his fortune back. He then sees Lisa collecting recyclables and remembers her opposition towards him. 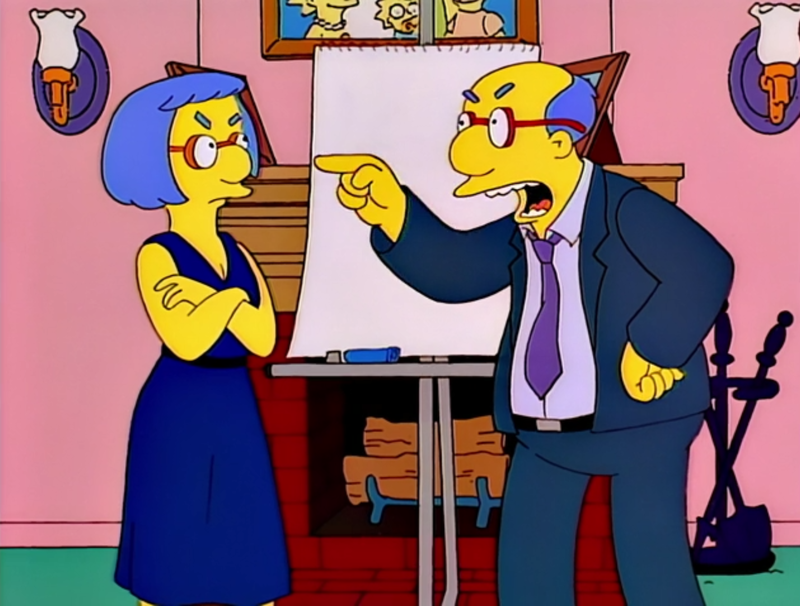 He believes that the reason for losing his fortune was that he was surrounded by "yes men" and therefore asks Lisa to help him. 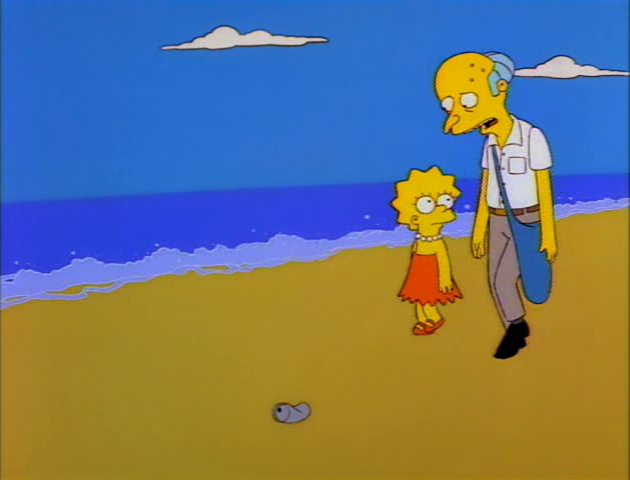 Lisa introduces Burns to recycling and by collecting these he soon gets enough money to buy a recycling plant. In reality this recycling plant captures all aquatic life and grinds it into to all-purpose goo. Lisa is horrified, but Burns regains his fortune and buys back his power plant. Marge is concerned that Reverend Lovejoy does not meet the needs of his parishioners and becomes the new advice giver at the Church. When Marge gains a loyal following, Lovejoy gets concerned that he has become "shepherd without a flock". Meanwhile, Homer finds an old Japanese product, "Mr. Sparkle", a dish-washing detergent, with a logo that oddly resembles him. When he calls up the company behind the product, he finds Mr. Sparkle is a composite of two company logos. Marge is unable to help Ned Flanders in a crisis and calls up Lovejoy for help. Lovejoy solves the crisis and gets his congregants' interest in his next sermon telling the story. Frank Grimes, a new employee at the Nuclear Power Plant, is a hard-working man who has never been given a break in his life. At work he meets Homer and takes an instant dislike to his poor job performance and attitude. Meanwhile, Bart steps into a tax auction and buys an abandoned factory for a dollar, which he uses to play factory with Milhouse. Homer tries to win Grimes approval by inviting him over for a family dinner, but when Grimes sees Homer's accomplishments and home, he becomes even more bitter. Imitating Homer's behavior at work, he runs amok and electrocutes himself. Bart is enrolled in a military school because of one big prank he played. After seeing the school Lisa decides she wants to join too. 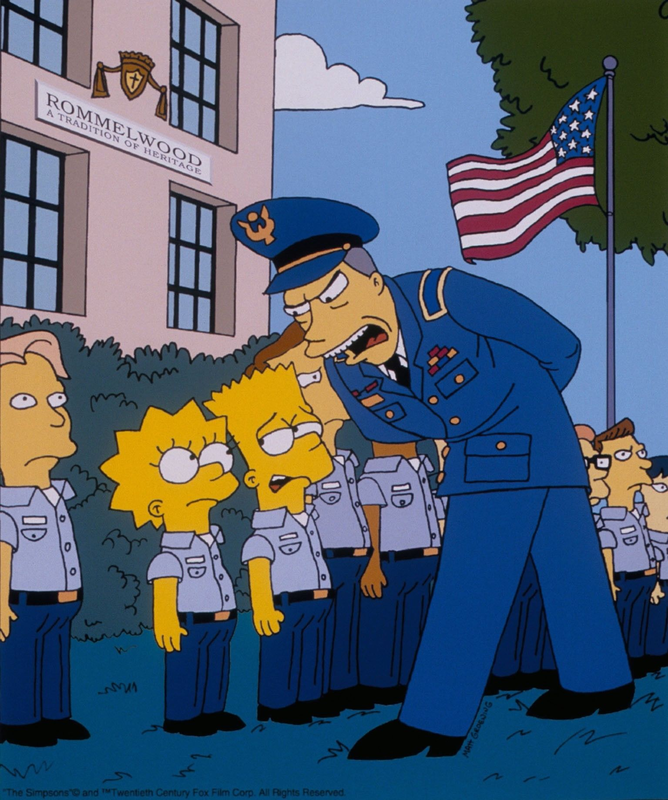 Lisa is the first female cadet and therefore gets to stay in her own private barrack. This move creates resentment among the boys at the facility and Bart refuses to speak to his sister. Later, Bart secretly apologizes and helps her train for a test. When Lisa has trouble completing the test Bart publicly encourages her at the expense of his own reputation, and she finally passes the test. Modified on June 6, 2018, at 08:21.